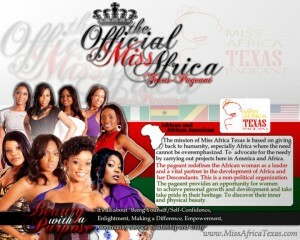 The official crowning of Miss Africa Texas pageant takes place on October 16th 2010 and Cameroon is fully represented. NexDim caught up with one of the final contestants, Verlene Forbia often called Lady V for an exclusive interview about her life and experiences during this pageant journey. She is an ideal personality and has a peculiar approach to life. Let’s meet her! What part of Cameroon do you come from? I’m from the Northwest province, from Ngo-ketunja Division ( Ndop). Briefly describe yourself to us. I’m a person full of smiles and love to put smile on people’s faces, due to my humble nature and jovial personality. I am quick to learn and accept constructive criticism.I don’t fantasize a lot but i have big dreams ( goals ). Though I walk through the valley of the shadow of death, i shall fear no evil.This is the bible verse that strengthens me.The best thing that ever happened to my live, was when I accepted Jesus Christ as my personal Lord and Saviour. 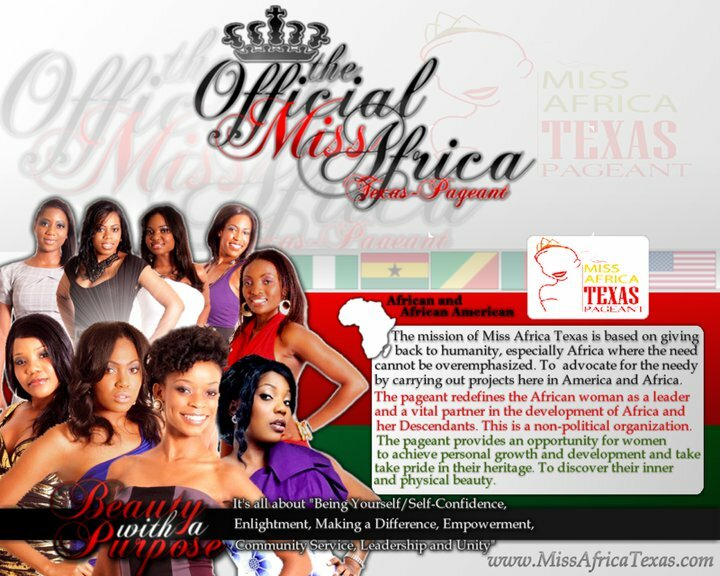 We learned you are a Miss Africa Texas contestant.What inspired you to file in your candidature for Miss Africa Texas? Yes, I am a contestant finalist. My loved ones around me, family, friends, teachers and even strangers have been of great inspiration to me.They always ask me if I was a model because they thought I looked like one. Special thanks goes to Nelson who encouraged me a lot to participate in the pageant. Were you nervous before the auditions? What is remarkable about the contest? The remarkable part of the pageant is amazing. You see how young beautiful women with brains come out of their nut-shell and display publicly, representing the beautiful countries of Africa. The crowning of the Miss is approaching definitely on 16th October.Are you the next African queen? Yes. I was crowned Queen ever since I gave my life to Christ. What’s your definition of beauty? Beauty is sanity. I will not describe beauty from the physical because I believe that everyone has that aspect ” We are beautiful and wonderfully made” by God. But this outer beauty is not complete without the inner personality, which comprises respect, humility, gentleness,kindness and above all love for one another.With this package, beauty becomes beautiful! How do you cope with school and your modeling career? It is not an easy task, trying to tackle both things at a time; school and modeling. Sometimes I find myself so exhausted that I just want to give up on one and concentrate on the other. Being an optimist, I still hang on to both. Would you like to take this bold step the whole of your life? Well, come to figure it out, models in fashion and hot in the market have an age limit.The older you grow, the less competent you become in some areas in physical modeling, especially if you intend to make a family of our own. Well I know one thing for a fact, I will always be a role model for my family, friends and to the nation in every aspect of my life through God that strengthens me.About Education, it is an everyday process because knowledge is wisdom, and wisdom is power.Even the oldest man with grey hair on his dying bed still has something new to learn, which is ; Learning to cope with or adapt to the fact that he will die. And even when he dies, education still continues, so will I continue to learn from the people around me. Tell us about the negative aspects you’ve discovered as a model? The negative aspect in modeling is that there is always a mis-judgement of identity. You might even end up losing important personalities in your life when you become a fashion show model because some people have a negative connotation about modeling. They forget that modeling is a career and not a personality. Being on stage and being around people is completely two different displays. 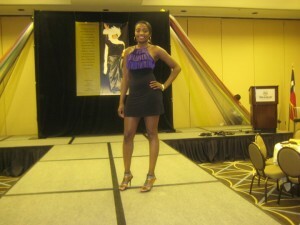 Modeling is different from pageants. Modeling is more of advertizement, while pageant is about “beauty with a purpose”. What’s your relationship with other Cameroonian contestants. Cordial? Very cordial relationship not only with my fellow Cameroonian contestants but also with all the other contestants. If you become amazingly rich, what will you do with your money? God blesses his children according to his riches in glory. If i become amazingly rich however in the future, it is definitely for a purpose.That means i have a huge assignment to take care of. Nothing is as great as education on earth, and i will do anything to support those who are willing but not able to get the sound quality education they need.Working hand in hand with the ministry of education to help lower school fees and prices of text books, will be good. Better still, helping more orphans and the helpless to get free education is best. What’s the worst thing you won’t like your partner to do? What genre of music do you often listen to? Gospel jams and any kind of music that appeals to me emotionally. What is that you like or hate about Facebook? Say your last inspirational words to the world. Hold on to your dreams and goals, never give up on them, no matter what it takes. Nothing good comes easy, take heart and be strong. Thank you NexDim and you have a great one. God bless. she a beutyfull person and very intelligent! i like her she is very smart!